THE 100TH anniversary of the start of World War I is being commemorated across Europe, but the talk of sacrifice and heroism obscures the obliteration of nine million, mostly young, soldiers, and seven million civilians - one of the deadliest conflicts in history. 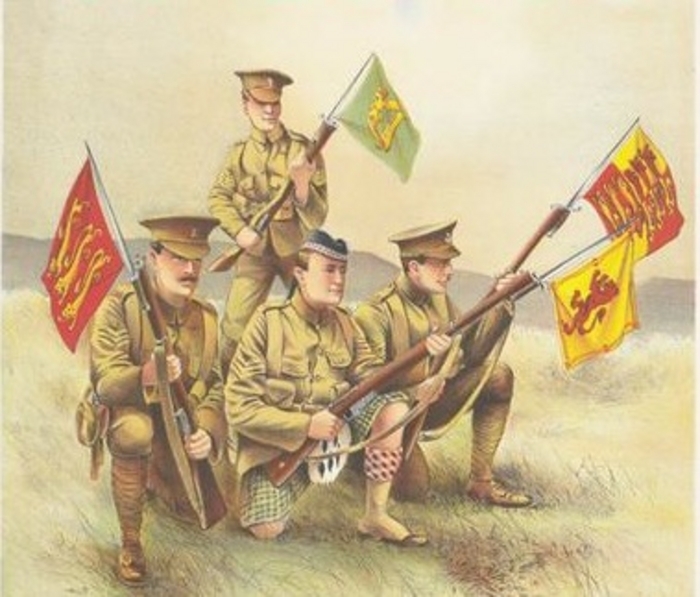 The second Liam & Tom O’Flaherty Society Summer School will be looking at The Great War when it meets in Inis Mór on Saturday August 30 and Sunday 31. The poet, novelist, broadcaster, and commentator Theo Dorgan will be the keynote speaker at the opening session of the school on Saturday 30 at 1.30pm in Cill Muirbhigh. Mr Dorgan will give a talk entitled, The Brutal Truth, The Slaughter Of The Poor, reflecting on WWI and how it impacted on Liam O’Flaherty’s writing, particularly on his novel Return of the Brute. Liam O’Flaherty fought in WWI, serving with the Irish Guards. He was wounded in the conflict and suffered severe shell shock. He was also the first Irish author to write a novel about World War I - Return of the Brute, published in 1929, the same year as All Quiet on the Western Front. Saturday will also see readings from the work of Tom O’Flaherty and a visit to his grave. The day concludes with a performance of Liam O’Flaherty’s only play Dorchadas in Cill Rónáin, which caused controversy when it was performed in 1926 as it challenged traditionally assigned roles for and assumptions about women. On Sunday Éamon Ó Ciosáin will discuss Tom O’Flaherty’s Irish language articles in the radical 1930s newspaper An tÉireannach. The final session will be a discussion led by Seosamh Ó Cuaig entitled Cuimhne ar Mhícheál Ó Maoláin - ceardchumannach as Árainn, about a significant figure in the Dublin trade union movement, whose memory is highly regarded by Aran Islanders. For more information on the summer school contact Seosamh Ó Cuaig on [email protected] or by calling 087 - 2194247.